Now is the time to begin this. Now is the time to start stepping away from chaos into a glorious expression of the Universe's purpose. Change is coming and you must embrace your role. I spoke of completion and closure to you. Completion in this sense means following an action to its end result. Man's ideas have created his belief systems and dominated the circumstances they have engendered. His lack of understanding has caused him to ignore the symbiosis necessary for him live in balance with his planet. These causes and the effects they have manifested are coming to an end, but man still tends to revert to actions that remain conditioned by his education and his life experiences. Much has to be stopped and much has to be changed. Your charge, and that of your readers, is to assist with this change. This implies closure in resolving an issue. Bringing a satisfying conclusion to a situation brings positive closure. The emotions and ideas invested in an action may continue to color a participant's view of his behavior, but his sense of successful completion brings a feeling of finality. You have some history of this interruption that became your physicality. Most stories told are only partially accurate. The reasons for the interruption of your life development were complex but ultimately self-serving and inconsiderate. The galactic wars that preceded this interaction were immensely destructive—so much so that they caused a paradigm shift in the intentions of this universe. The rupture necessitated new solutions to allow healing and regrowth in both the spiritual and physical dimensions. "Avoid being manipulated by others—whether by other’s ideas or by their direct actions. Defuse situations and teach alternatives by example or by actual teaching. The time is coming when this will be the norm, rather than the exception." I am here today to give you warning and suggestions for what is coming to pass. The consensus is that a lesson must be learned before the current situation comes to a close. People inhabiting Earth generally think that commitment is giving themselves over to the wishes of another. They find the other person's ideas more rational or inspiring and feel that their own perceptions are inadequate in comparison. They feel a sense of insecurity in themselves and seize onto another's plan for confidence in what they choose to do. This is out of balance. Another person doesn't understand the true requirements someone else has, no matter how analytic or persuasive they may be. The act of imposing one's ideas on someone else is just as wrong as another person seeking to replace his ideas with those of someone he feels are better. One person doesn't take enough responsibility for him or herself, while another assumes too much responsibility over another with no valid reason. Apr 3, 2013 - Esu speaks on Revenge, Responsibility, and Redemption I chose Easter to speak of these things because it is a day-Easter Day-dedicated to my crucifixion and my resurrection. This is an event that has tipped the world's spiritual thinking. Esu's plans to work with man's religion and spirituality. Monjoronson speaks on his Magisterial mission to judge and guide ascension. Monjoronson: My role doesn’t involve much of what Christ Michael is currently involved with. He is finding closure for this phase of his planet’s life, and assisting Gaia to find her own ascension. The notion that the change will take place without a traditional sweeping house to remove all vestiges of the past is radical and untested. He is finding his way through a compromise situation and determining the absolute best course he can pursue. As you understand, this determination is complex and novel. 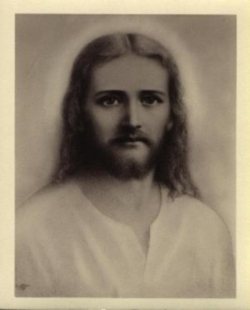 Christ Michael changes his parameters constantly on a global and universal scale. This is a period of change unlike any the world has witnessed before. The universe itself is adapting to a new vibrational frequency of energy that brings with it many revelations of insight into the truth of the Creator's plan. This happens now. Look to the skies. Apr 3, 2012 - Christ Michael Says Curtain Up! The bulk of what we do-and the best-will be to guide man to finding his own spiritual nature in its truest and fullest sense. The time is now for this to begin. The stage is ready for a new performance, and the players have their roles in hand. Siraya, the Trinity Spirit for the seventh superuniverse of Orvonton and voice of the Creator Source, speaks on the hierarchy involved in the creation process and man's role in this as an inhabitant of Earth, the bestowal planet for Christ Michael Aton, the creator of our planet's universe of Nebadon. Oct 28, 2011 - Siraya Discusses Earth's Inevitable Change, A.H.- VIDEO in different languages. I speak to you as representative of the Creator Source in Orvonton. We are pleased with what is happening on your creator's favored planet. Candace: For those new to our material, there are 7 massive superuniverses which surround the Central Universe of Havona. Each has a Master Spirit from the Central Universe who is the executive over the Superuniverse. Siraya is the Master Spirit of Orvonton, the 7th Superuniverse to which we belong. While each is sourced in the Infinite Spirit, (3rd Person Trinity) each represents the "Father" or Source of the Creation over the superuniverse domain. Christ Michael Aton has comments directed specifically to the United States regarding potential diasters. The cosmic moves are all in place now. The tools we need to effect changes are in position. Much has changed that you can't see. Political upheavals are about ready to occur. I was asked to find out information about the beginnings of the Office of International Treasury Control (OITC) from Violinio St. Germain. These were his comments. Esu wants lightworkers who show the truth through their behavior as well as comments. Candace: It is mentioned removals are going on in this. They are, HUGELY which is why the huge transport craft that has been down over Denver, including yesterday. 2 BIG ONES yesterday. And so far this morning, at least one large transport craft, plus some other craft. Ye ones are leaving us, forever. Good bye!